태풍 내습시 발생 가능한 폭풍해일 재난에 대한 의사결정 지원을 목표로 기상청 태풍 통보문 기반 실시간 폭풍해일 예측시스템을 구축하고 2016년 태풍 차바(TY1618)로 인한 폭풍해일 재난에 대한 중앙재난안전대책본부의 의사결정을 지원하였다. 폭풍해일에 대한 의사결정 지원은 140 core 기반의 병렬클러스터가 활용되었으며, 폭풍해일고 예측부터 의사결정 지원까지 3시간이\ 소요된다. 태풍 차바로 인한 최대해수위 및 최대해일고의 평균제곱근오차(RMSE)는 최대해수위가 0.09~0.11 m, 최대폭풍해일고는 0.14~0.26 m로 나타났으며, 상대오차(RE)는 각각 6~9%, 34~69%로 평가되었다. 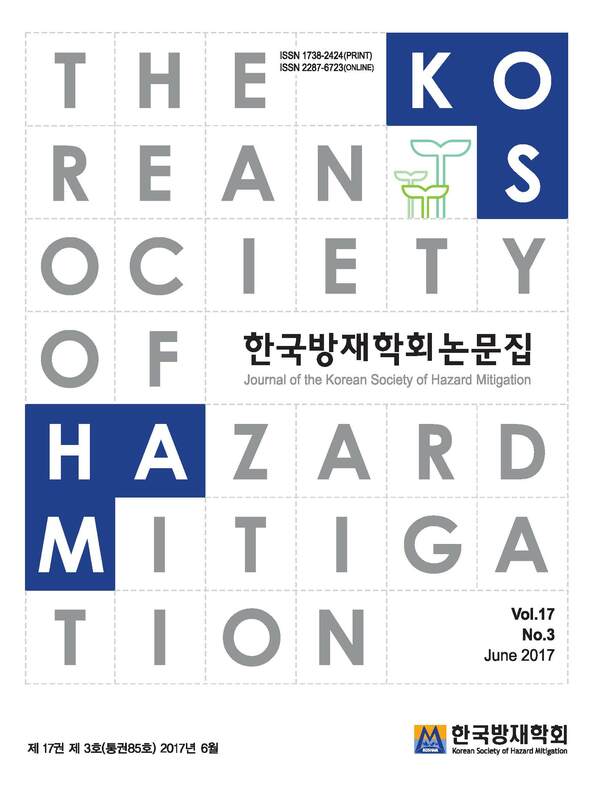 To support decision-making in a storm surge disaster, the National Disaster Management Research Institute (NDMI) developed a real-time storm surge prediction system using the typhoon advisory provided by the Korea Meteorological Administration (KMA). This system supported the Ministry of Public Safety and Security (MPSS) in its decision-making on the storm surge caused by typhoon Chaba (TY1618) in 2016. Using a parallel cluster of 140 computing cores, the storm surge response system takes 3 h from prediction of the storm surge height to decision-making support. The root mean square error (RMSE) due to Typhoon Chaba indicated that the maximum water surface elevation was 0.09-0.11 m, and the maximum surge height was 0.14~0.26 m; the relative error (RE) was 6~9% and 34~69%, respectively.